By default, Internet Explorer 11 is configured to be the dominant browser inside Windows 10 and no user can uninstall it anyway because it is induced as system software only.Now being the default browser, Internet Explorer tends to open all types of links that you click anonymously.Many of you would be happy with Microsoft’s best web browser, but not everyone may want to assist with IE only.Here, in this article, we wrote about the method through which Internet Explorer can be replaced by another browser, and in any case, when the URL is opened, your designated browser will work .Users who want to change their web browser and set their default browsers can do so easily through certain methods.Now that you have obtained that the method is written below in this article, you can learn more by reading this article, so go ahead and do it! The method is quite simple and easy and you just need to follow the step-by-step guide discussed below to proceed. 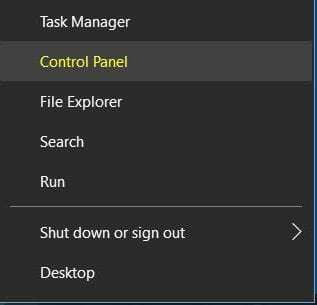 Steps to Turn off Internet Explorer In Window. Step 1 : Hold Windows Key + X,which will launch the power menu on the screen of your desktop.The menu will look like List in which there will be different options, but from there you just need to click on the Control Panel to launch it.Else you can use the search bar to direct reach to the control panel through the settings of windows. Step 2 : Inside the control panel You will see a different number of options that are all intended for all the different parameters and functions.We need to work on disabling Internet Explorer so we need to go into programs and features.Click this option and on the next screen, locate and click the \Enable or Disable Windows Feature\ option. Step 3 : Another window will launch that will show you the whole number of features that resides on Windows, it will look like a number of folders placed next to each other.You can also reach this screen with very simple steps, write the Windows functions in the search bar and select the option Activate or deactivate Windows functions. 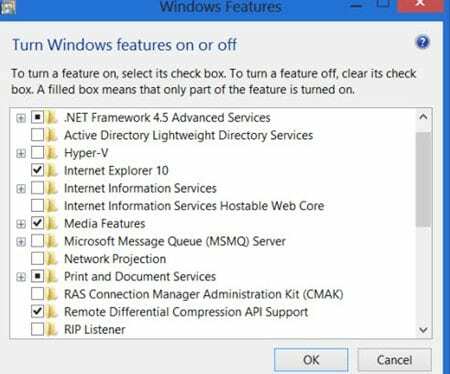 Step 4 : In the above windows, locate Internet Explorer 11, and then uncheck the box next to the option.This will instantly disable Internet Explorer in Windows 10 but to finally let the changes occur, you must restart your device.and thats it you are done ! enjoy browsing with your favorite browser! This doesn’t completely remove all traces of Internet Explorer as other programs and processes rely on its rendering engine. However, this procedure will definitely get it out of your way when working on your computer.